Adventist Mission | Why Was I Born? Graciela’s mother never allowed her daughter to forget that day. Download high-resolution photos from ADAMS databank. Download high-resolution photos of Thirteenth Sabbath projects. Download 13 pages of fast facts from this division (PDF). Uruguay has 59 churches and 50 companies. There are 7,890 members in Uruguay’s population of 3,457,000, or one Adventist for every 438 Uruguayans. The first Adventist in Uruguay was Mrs. Juan Rivoir, who came to Uruguay with her husband in 1890 and who, four years before her arrival, had listened to sermons by Ellen White in Piedmont, Italy. To Sabbath School teachers: This story is for Sabbath, April 27. Awoman stood at the bus stop in Uruguay’s capital, Montevideo. She had money in her purse for a special purpose, and she was waiting for the bus. Suddenly, she began to tremble. She felt something move inside her. The bus arrived and stopped, but she turned away. Instead, she crossed the street to a bakery and used some of the money to buy cookies. At home, her husband met her at the door. “Back so soon?” he asked. “Yes, I decided not to do it,” she said. Several months later, Graciela Musetti was born. Graciela’s mother, Maria, never allowed her daughter to forget that day. Graciela grew up playing among tombstones. When she was 18 months old, her 18-year-old sister died in a tragic factory fire that killed about 20 people. Every day, Mother took Graciela to the cemetery and, as she mourned at her older daughter’s grave, Graciela darted between the tombstones. The little girl took flowers from graves with large bouquets and placed them on empty graves. At home, Mother introduced Graciela to visitors by saying, “God took one daughter away from me and gave me this one instead.” Then she told the story about the bus stop, treating it lightly, like a joke. “Graciela wasn’t supposed to be born,” she said, smiling. Graciela felt guilty and insecure. She felt like she had replaced a sister who was the light of the house. Several years passed, and her parents divorced. Graciela had a son at the age of 15. Then her eldest brother died of a heart attack. The death devastated Mother, and for several months Graciela accompanied her to the cemetery to visit his grave. A few more years passed, and Graciela’s only remaining sibling, another older brother, was struck dead by a car as he rode his bicycle. Graciela didn’t have the heart to tell her mother. She felt like the sole survivor of a major tragedy. Mother grew old, and Graciela cared for her until she died. In her last years, Mother was bedridden after suffering a stroke. One day, Graciela stumbled across Nuevo Tiempo radio, the local affiliate of the Seventh-day Adventist Church’s Hope radio. Listening to a program, she was drawn to the pastor’s voice, which she found peaceful and calming. At the same time, she listened to a pastor on another radio station who attacked Adventist Church cofounder Ellen White much of the time. His anger caught Graciela’s attention, and she decided that she wanted to read an Ellen White book. But where to find one? Graciela visited libraries and bookstores, but nobody had any books. One day, her adult son visited a shoe store and noticed a book lying on the chair. He glanced through it and brought it to his mother. “Look, Mother, this is something that you will like,” he said. Graciela took the book into her hands and read the title, “The Great Hope.” Underneath, she saw the author’s name, Ellen White. She began to tremble. From that moment, Graciela had no doubts about Ellen White — even before she read the book. “God used the book to call me to His way,” Graciela said. 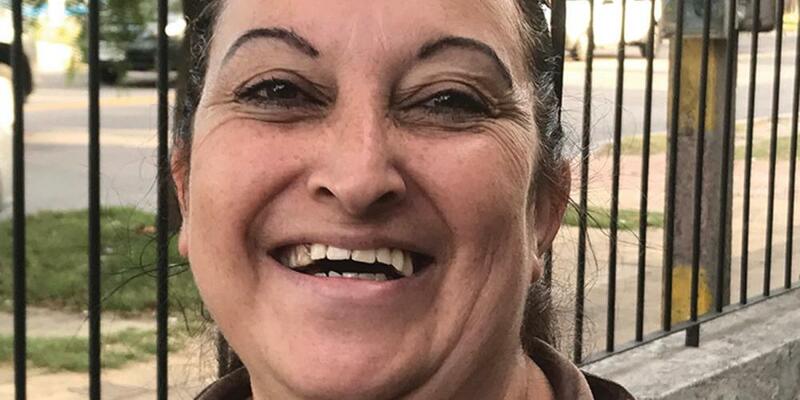 She telephoned Nuevo Tiempo for more information, and the radio station sent an Adventist church member, Miguel Amaro Speranza, to give Bible studies. Soon Graciela was baptized into La Teja Seventh-day Adventist Church, a church funded by a 2016 Thirteenth Sabbath Offering. Today, she is an active church member, giving Bible studies and helping people in her neighborhood. Through her influence, four people have been baptized. Graciela wondered much of her life why she was born. Now she has the answer. “Since the moment that I was in my mother’s womb, the Lord was working with me,” said Graciela, 52. “If my mother had had the abortion, who would have taken care of her? Who would take care of my father, who is now 94 and bedridden? Thank you for your 2016 Thirteenth Sabbath Offering that helped La Teja Seventh-day Adventist Church move from a small, rented house into its own church building and community center. Thank you for your mission offerings that help lead people like Graciela to Christ.